Australian Independent Singer- Songwriter with beginnings in early 70’s. Music styles across a range of genre including Pop, Rock, Blues and folk. 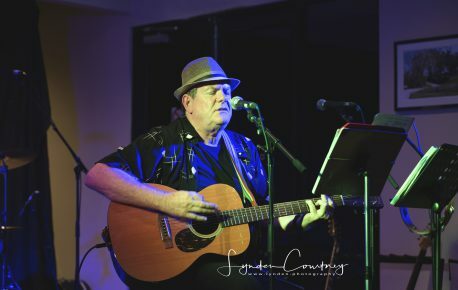 Ross Seddon began his musical journey upon leaving school in 1971 at Maidstone, in the western suburbs of Melbourne, Victoria, Australia. Although initially taught guitar by Tony Naylor, Tony realized Ross Seddon was a natural at writing songs words and music. They suspended guitar training and he taught and encouraged Ross Seddon to develop and concentrate on Ross’s seemly natural talent of song writing. With Tony’s assistance Ross’s first recording at Armstrong Studio’s South Melbourne in 1973. Ross Seddon also undertook some vocal lessons around that same period. Throughout the 70’s Ross Seddon began playing in acoustic bands, playing restaurants, clubs and theatre but progressively he developed his music via a range of rock bands.